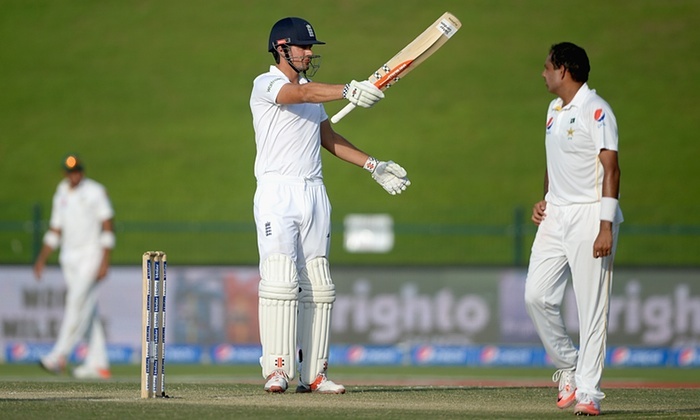 With just 11 wickets falling and 813 runs scored in three days of cricket, it is quite evident that the pitch produced at Abu Dhabi for the first test between England and Pakistan is not helping the bowlers, as the English batsman closed the day on 290-3 chasing the Pakistan first innings total of 523-8 declared. Alastair Cook finished the day unbeaten after amassed 168 runs while Shoaib Malik of Pakistan was eventually dismissed for 245 runs during a match bereft of any real excitement. On a pitch lacking pace and semblance of life, the bowlers have particularly found wicket taking difficult with none to date registered for any of the spinners, while English leg spinner Adil Rashid recorded the worst ever bowling figures for a test debutant during the Pakistan first innings. His statistics of 0-163 from 34 overs surpassed the previous record of Australian Bryce McGain who conceded 149 runs from 18 overs and never again played test match cricket. For Yorkshire bowler Rashid, this was a harsh introduction to life in the five day version of international cricket after his performances playing for England in one day internationals, but can he really be criticised for those seemingly dire statistics. Although, Rashid was the only English bowler not to bowl a maiden over, fellow spinner Mooen Ali fared only marginally better with his statistics of 0-121 from 30 overs as both he and Rashid were much the busier bowlers in the England attack, but with scant reward on offer. Rashid could have been given an opportunity to play in the fifth and final test of the summer Ashes series against Australia with England already 3-1 ahead and with little pressure to be faced for any newcomers to the team. He was overlooked for all five tests despite being a member of the squad but Rashid still enjoyed a successful season with Yorkshire as his team dominated the County Championship. During one four day match against Hampshire, Rashid claimed a total of eight wickets with his second innings haul of 4-48 eventually becoming his best bowling figures of the season. 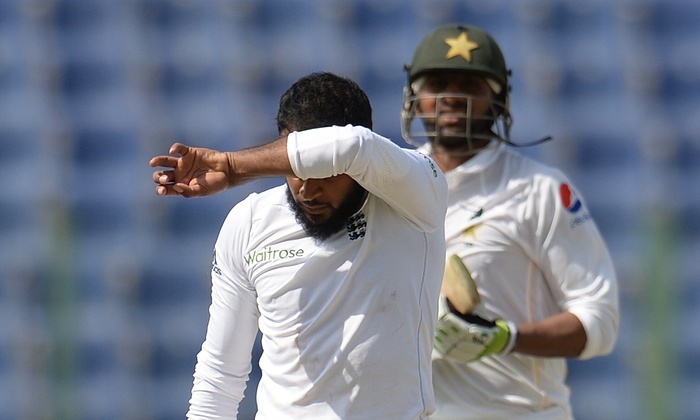 The England selectors must now hope that his confidence has not been dented by those poor first innings statistics and as the Abu Dhabi deteriorates even further over the next two days, there is every possibility that Rashid will need to wait until very late on the fourth day at the earliest before being offered the chance to justify his inclusion in the team. Conditions for the England cricketers are in marked contrast to those experienced during the summer when sometimes more than 11 wickets were claimed in just a single day, and Rashid must be rueing the fact that he might have avoided inheriting that unwanted record for a debutant had he played just one game against the Aussies. Kridangan Team provides the highest quality of cricket coverage available including latest Cricket news, Cricket Ranking, Cricket statistics data, Cricket Records breaking news, quality editorial comment and analysis, you will not find more reliable source for Cricket sport news regardless how hard you try. Follow us on Twitter and Facebook to be the first to know about the latest events from the world of cricket sports.